Eli Stine is a composer, programmer, and educator. Stine is currently finishing a Ph.D. in Composition and Computer Technologies as a Jefferson Fellow at the University of Virginia and is a graduate of Oberlin College and Conservatory with degrees in Technology In Music And Related Arts and Computer Science. 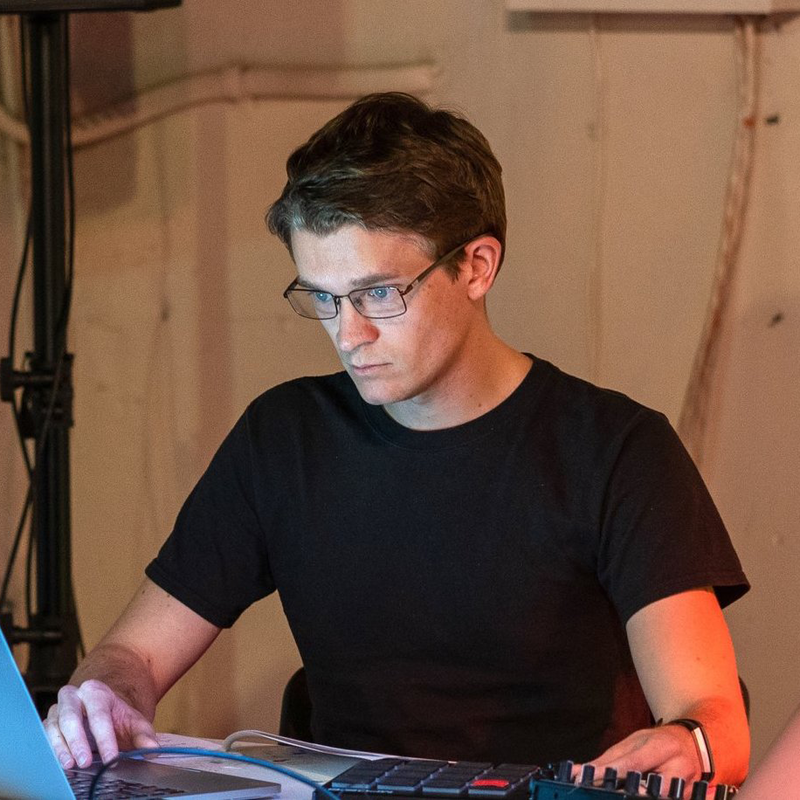 Stine’s work explores electroacoustic sound, multimedia technologies (often custom-built software, video projection, and multi-channel speaker systems), and collaboration between disciplines (artistic and otherwise). Festivals and conferences that have programmed Stine’s work include ICMC, SEAMUS, NIME, CMMR, NYCEMF, the Third Practice Festival, CubeFest, the Muestra Internacional de Música Electroacústica, the International Sound Art Festival Berlin, the Workshop on Intelligent Music Interfaces for Listening and Creation, and the International Conference on Computational Intelligence in Music, Sound, Art and Design. Currently, his sound design for the virtual reality installation MetamorphosisVR, a virtual reality adaptation of Franz Kafka’s Metamorphosis, is touring around the world, with installation locations including Prague, Berlin, Madrid, Cairo, Oslo, Seoul, Tokyo, and Hong Kong.